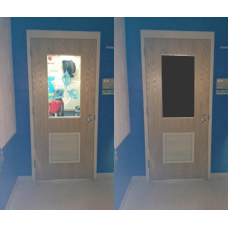 Standard matte white vinyl surface on the front and the back has the magnetic clinging force.Stick to metal doors or metal window frames, inside or outside. Used by schools, prisons and institutions for lockdown, isolation and privacy. Easy to install, easy to remove. Medium material is 0.030 inches. Thickness is about the same as a dime. 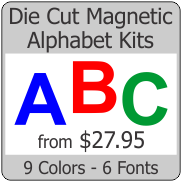 This is the thickness used for magnetic car signs also. 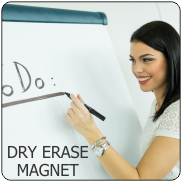 We recommend that you order 1 magnet for testing before planning large projects. Custom sizes and printing available. Please call.